Preheat oven to 425 degrees. Line a cookie sheet with foil and place in oven while it preheats. Remove leaves from cauliflower head and slice 2 “steak” slices from the center portion of the head. Reserve the outer pieces for another day OR prepare and roast right alongside the steaks. In a shallow bowl, toss breadcrumbs with ½ of the cheese, parsley, & salt. Dip cauliflower in egg, then press firmly into the breadcrumb mixture on both sides and repeat. Remove cookie sheet from oven and spray with cooking spray or oil. Place steaks (and coated florets if using) on the hot cookie sheet and spray the top – roast for 20 minutes. Flip and spray the top of with olive oil or cooking spray and bake for an additional 10 minutes. Spread your favorite Cannizzaro Sauce over the top, then mozzarella and sprinkle remaining Parmesan Cheese and bake for another 7 minutes, until cheese is melted. Plate Cooked Pasta with Sauce on top. 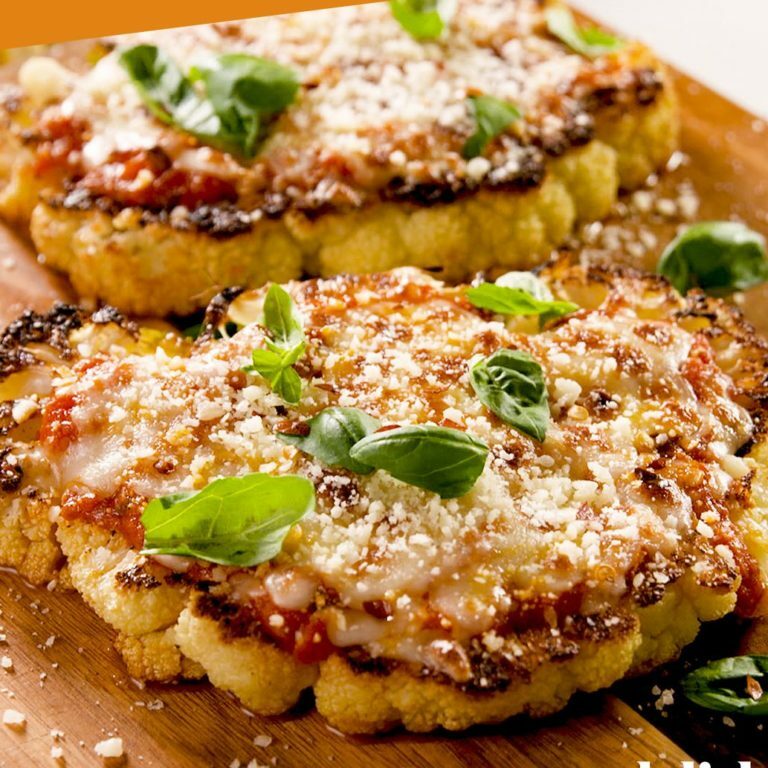 Top with your Cauliflower Parmesan!